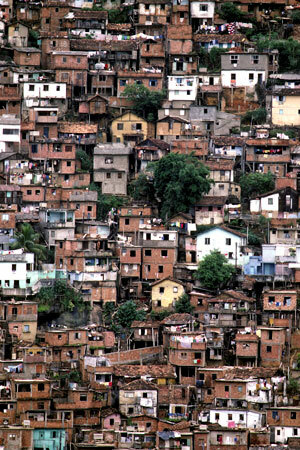 The high levels of imprisoned youth and adolescents, along with high levels of victimization within the same age groups, highlights two important features of Brazilian society: firstly, it shows how the cycle of urban violence disproportionately affects this age range (and specifically a certain social profile); and secondly, it underlines the pervasive culture of discrimination which dominates the processes of imprisonment and detention. Both of these legal documents were written in compliance with the UN Convention on the Rights of the Child and other international guidelines. They established that children, teenagers and young people in Brazil should be a top priority for public policies and that responsibility for ensuring these rights falls on families, the State and society as a whole. In regard to adolescents in conflict with the law, the ECA establishes specific procedures to be followed during legal proceedings from the moment of arrest until the eventual implementation of a socio-educational measure. This law provides for rapid processing and assures compliance with the due process of the law and its guarantees throughout the legal process. The ECA does not establish any objective criteria for imposing the penalty(7), but it states that the deprivation of liberty must be an exceptional response, only to be used when no alternatives exist(8). Furthermore, regarding the manner of implementing the socio-educational measures the ECA merely defines their types(9), establishes minimum and maximum terms of duration and lists the rights of juvenile prisoners. Despite these new standards and improvements in the care for children and adolescents in the country, young people in conflict with the law still face stark discrepancies between their legal rights and the actual reality of the treatment they receive, especially when the socio-educational measures include incarceration. Of the approximately 60,000 teenagers who are subject to socio-educational measures in Brazil, around 18,000 (about 30 per cent) have been given prison sentences or are being held in prison prior to trial or sentencing(12) and held in one of 288 internment institutes. The profiles and backgrounds of these imprisoned adolescents are very similar to the profiles and backgrounds of those who are most likely to be the victims of lethal violence: young, black males from the suburbs of large cities. (14) This data indicates that just as violence is unfairly directed at certain groups, the justice system is also selective in who it targets, with social stigmas encouraging prison sentences for many teenagers who do not deserve them. A recent study(15) in the Courts of six Brazilian States(16) found that the majority of appeals on behalf of teenagers – on grounds of insufficient evidence or lack of due process – are denied. On the other hand, the analysis of such decisions made by the Superior Court of Justice(17) – the court responsible for ensuring the uniform interpretation of federal law across the country – shows greater acceptance of defence requests. For example, freedom is often granted to teenagers who have been imprisoned for drug trafficking offences – a crime which is not subject to jail sentences. Furthermore, the research highlights an important element which contributes to the increased use of imprisonment: the limited development of legal doctrine regarding the prosecution of crimes committed by teenagers. As a consequence, judges and prosecutors often base their decisions and sentences on subjective and extra-juridical criteria, often reinforcing stereotypes and prejudices. The violation of the right to receive a broad and qualified defence during all stages of the legal process contributes to the consolidation of the current situation, if we consider that in many Brazilian States the right to receive free juridical assistance(18) has been only recently introduced (and it is still absent in some States) as well as if we look at the weak, and often lacking, training of defence personnel with respect to specific issues related to children in conflict with the law. Juvenile Justice in Brazil is a sector marked by ideas of social defense which often results in a moralistic and overprotective approach. In this respect, laws and legal principles are poorly implemented which leads to an excessive use of custodial sentences. The consequences are widespread and serious, not only regarding the illegal and unfair nature of these decisions, but also in relation to the poor standards of care in Brazilian detention facilities. With rare exceptions, they suffer from poor estructure; overcrowding; poor health; torture and ill treatment; lack of educational or training opportunities; a lack of training for staff in maintaining standards of health and education and so on. This helps to perpetuate the cycle of violence into which these teenagers are introduced early on. Although Brazil has advanced legislation – which is constantly subject to the threat of reductions in the rights and guarantees, twenty years after the Statute of the Child and Adolescent came into force, further improvements are needed to ensure full compliance with the principles of the legislation. Regarding public policies, a rethinking is needed on criminality issues in order to encourage an attitude of prevention rather than repression. Moreover, it is fundamental to increase the use of non-custodial measures by structuring its programs and qualifying its staff, so that imprisonment is not seen as the only option for adolescents who have committed crimes. There are many challenges to be overcome in order to change the process of institutionalization and segregation of socially vulnerable teenagers in Brazil. It is time to change their life stories, which are more and more frequently marked by violations of their rights, and put into practice what was written into the Brazilian constitution more than 20 years ago: children and young people are subjects of full rights and must become a top priority for the State, families, and society as a whole. Aline Yamamoto is a graduate of Law from the University of São Paulo, with a Master degree in Criminology and Criminal Law from the Autonomous University of Barcelona. She holds postgraduate degrees in Human Rights and Women from the University of Chile and in Urban Violence and Gender from the Center for Urban and Regional Studies in Buenos Aires / United Nations Fund for Women (UNIFEM Brazil and Southern Cone). She is an associate researcher at Ilanud. Personal contact: lineyama@gmail.com. Natália Bouças do Lago graduated with a degree in Social Science from the University of São Paulo and is a master’s student in Anthropology at the same university. She is an associate researcher at Ilanud. Personal contact: nalago@gmail.com. 1 According to the Justice National Council, Brazil is the third country in the world with the highest incarcerated population, just after USA and China. 2 Source: National Penitentiary Department. Brazilian Penitentiary System: consolidated data: Ministry of Justice, 2009. 3 In Brazil, the minimum age for criminal charges is fixed at 18 years old as established by the Federal Constitution. 4 The socio-educational system is related to the Juvenile Justice system and is different from the Criminal Justice not only because it addresses specifically young people but also because of its specific procedures, principles and objectives. 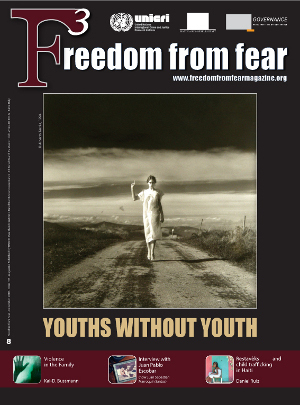 Among other principles, the Juvenile Justice system is based on the assumption that adolescents are people under a peculiar condition of development, the deprivation of liberty must be an exception , with an overall approach aimed at re-educating children without compromising any penal or constitutional guarantees of the legal process. 5 Source: Human Rights Secretariat of the Republican Presidency, 2009. 6 The Minors Code, which represents the legislation previous to the ECA’s implementation, referred to children and teenagers in `irregular situations` – which includes either those neglected and mistreated or those responsible for infractions, without distinguishing between them. In this sense, they were treated as mere objects of protection, and restrictive measures were imposed on them without attempting to adapt them to their personal and singular experiences. The ECA introduced in Brazil the understanding of children and teenagers as subjects of rights; this means that any action affecting their rights should only be done in their personal interest. 7 The implementation of a socio-educational measure should consider teenagers’ capability as well as the circumstances and the seriousness of their infractions. 8 The law lists only three cases for application of the internment measure: when a teenager commits a crime under serious threat or violence to the person; if he/she commits serious crimes for many times; or when he/she repeatedly does not accomplish the measure without justifying (in this case, the internment is limited to a period of three months, while in other cases, the maximum period is 3 years). 9 The socio-educational measures are: admonition, obligation to repair the damages, community service, probation, semiliberty and internment. 11 The Sinace has no legal power yet, since the bill is currently being processed through the National Congress. 12 According to the ECA, pretrial detention can be ordered by a judge for a maximum of 45 days and only if it is demonstrated that this is absolutely necessary (Art. 108). 13 Source: Ilanud/SDH-PR, National Mapping of the outdoor socio-educational measures, 2008. 14 Source: Index of homicides in youth – Índice de Homicídios na Adolescência (IHA) and Violence Map 2010. 15 The research was carried out by researchers at the Federal University of Bahia (UFBA) in collaboration with the Legislative Secretariat of the Brazilian Minisry of Justice, 2010. 16 The justice tribunals which have been the object of the research were the following State Tribunals: São Paulo, Rio de Janeiro, Pernambuco, Paraná, Bahia e Rio Grande do Sul. 17 The Superior Court of Justice is the ultimate instance of the Brazilian justice system with respect to cases regarding a federal law, which are not directly related to the Constitution. 18 The Public Advocacies are institutions related to the State Governments mentioned within the Constitution of 1988 which aim to provide free juridical assistance to people who are unable to pay for a lawyer. However, Public Advocacies are quite disparate in terms of structure, autonomy and personnel organization. Furthermore, there are federal units which still lack this kind of institution which hampers efforts to ensure fair treatment across the entire justice system. 19 The Justice National Council is carrying out a very important role with respect to socio-educational and prison issues through different positive actions, like the Right Measure Project which aims to revise the standards and procedures of imprisonment.